Portugal is safe again! ETA base uncovered. 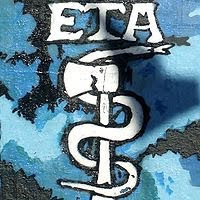 The ETA (Euskadi Ta Askatasuna, or Basque Homeland and Freedom) logistics base in Óbidos, Portugal has been neutralized, according to the general director of the Portuguese Republican National Guard. The base was uncovered this Friday, after the buildings landlord alerted the police that the tenants were leaving without paying the rent. Portuguese Police discovered close to 1500 kilograms of explosives in the Casal da Avela headquarters. Destruction of those explosives is currently underway. However, maps discovered at the site show the existence of other bases throughout Portugal.